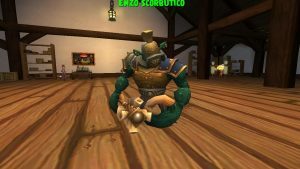 Buckler is arguably the most balanced class in pvp currently, and is thus unlikely to be a candidate for major changes (more specifically a nerf) in future updates. I’m looking at you, buccaneers and privateers. Remember when you complained non-stop about how broken Black Fog was? (Don’t lie, you did) Now you get to abuse… I mean use… it! Skip this part if you already made a swashbuckler. If not, read on. Parent death- This doesn’t really matter all too much. You probably won’t be using your presidio companion all too much in PvP. Lost and Thunderstorm get you Lucky Jack and Milo respectively. They’re essentially privateer and swashbuckler versions of Subodai/Temujin, minus the tide 2 and reduce accuracy attack. Cool and fun companions for sure, but they’ll have niche use at best. They’re the best two options. Armada gets you Gaspard de Vole, who I’ve been told is quite adept at countering summons. Just don’t pick Giant Squid or Mutiny, Birgus and Mike are incredibly lackluster. Place of Origin- Krokotopia is the only option for PvP. If you’re level 10 or under and picked the wrong place of origin, I’d recommend restarting. Krokotopia is that much better than everywhere else. It can easily net you +250-300 damage in a match, plus a good bit of extra health on your heals. Inhuman Resources Companion- If at all possible, DO NOT redeem Fan until you reach max level. 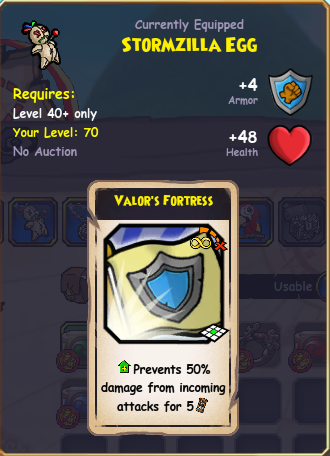 Questing a buckler isn’t that hard, you can do without her. This will give you a level 71 Fan, and those (marginally) increased stats are great to have. 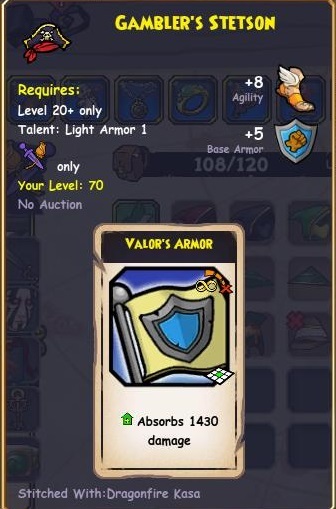 If your already existing, max level buckler doesn’t have any number of these attributes, don’t worry! While the above decisions certainly optimize your character’s ability, they’re not going to stop you from being successful in PvP should you lack them. Secret Trainers: Relentless and Witch Hunter (2 pts)- Relentless is free damage and Witch Hunter makes all but the best witchdoctors helpless once we get next to them. Get these. 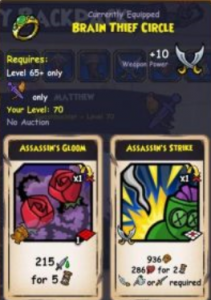 The last point can go towards one of these three: Forbiddance, Ghostwail, or Mighty Charge– Currently, I prefer Ghostwail, since it is generally the most useful, but Mighty Charge will be the best option for when the next level expansion comes out, assuming that expansion has 10 levels and/or a Zeke quest. 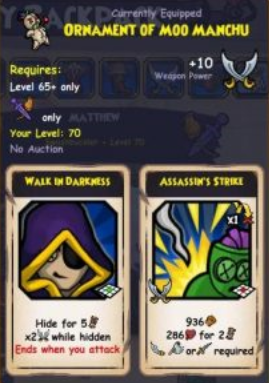 A side note- If you are dead set on using a “hybrid” setup w/ maximum chains you can replace Witch Hunter, the second rank of Spooky, and your “last point” choice with Shooty 1-2 and Burst Fire and obtain a witch hunter grant on your pet. I don’t recommend starting out with this, since it will prevent you from having an ideal pure melee setup should you decide to switch back to melee swashbuckler. 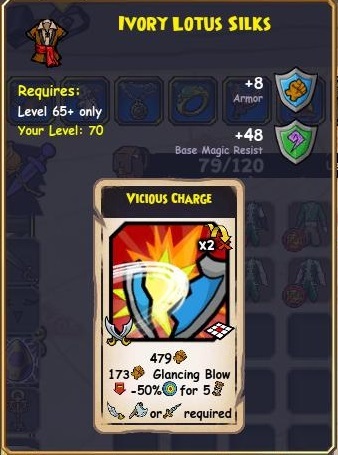 In addition, witch hunter grants are tough to get on your pet and buckler really doesn’t need to rely on relent 2 burst 2 in order to win. 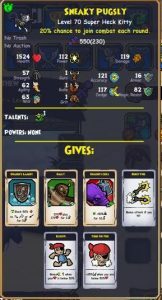 So you now have a max level buckler with all your training points properly spent. What next? Tantojutsu Headband-Drops from Friar Sand. This is the most popular hat choice for swash PvP. It provides one of the 3 forts you need. 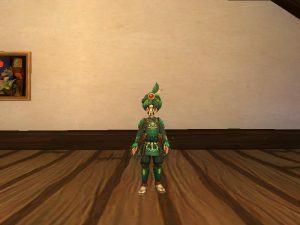 Shaolinquan Vestment– Most popular choice for PvP. Drops from Friar Sand, but if you’re lazy, a bazaar version exists with health and armor or magic resist. 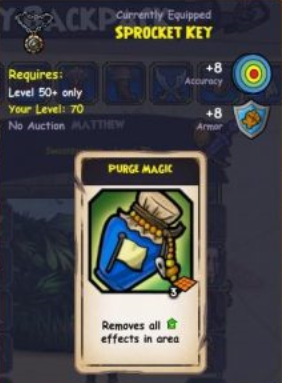 The auctionable magic resist version is often very strong against classes that use magical weapons (muskets, bucklers, and a good amount of privies and bucks). Ivory Lotus Silks– This robe is found in the Bazaar. It’s excellent in the buccaneer matchup, should you not have a charge on your pet. Furthermore, it’s solid in the swash mirror, as it gives you a huge advantage in getting chains. 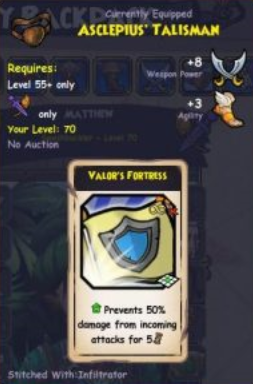 This isn’t something I’d equip in a ranked pvp environment, but it’s very valuable when you know you’ll be able to get good use from it (in a buck or buckler matchup). Boots of Sanctuary–Dropped from Friar Sand. Same as above, but you gain some agility, and sacrifice a bit of dodge and weapon power. If you like your crits, this may be a better option. I assume here that you don’t have a spring or fall champion PvP weapon. I’d definitely use spring and probably a fall weapon over all these choices, if you have one from another character. Haywire Royal Poignard–Dropped from Dreadnaught. This and the Haywire Fencer set are the two best non-crown, pure melee weapons for swash PvP. 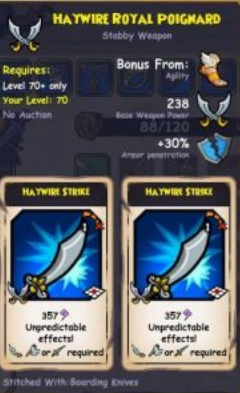 Boarding Knives– Crowns alternative to the haywire melee weapons in PvP. The assassin is more consistent damage than the strikes and the bleed is helpful to push through that last bit of damage. Haywire Armada Blade– Dropped by Dreadnaught. 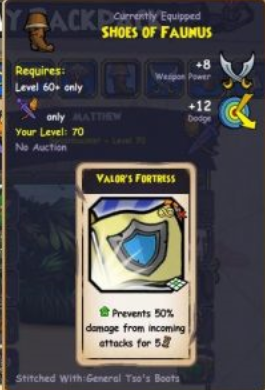 Only real option for hybrid buckler PvP imo. 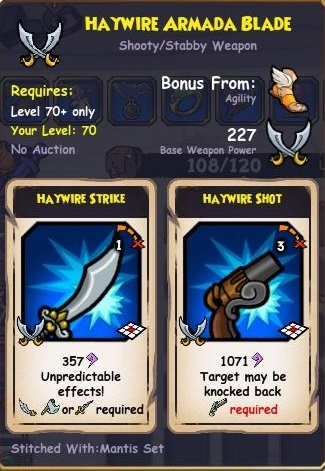 It’s also what I used when ranking up (I didn’t use any ranged talents with it, haywire shot alone is pretty op). If I had to recommend one non-champion weapon, this would be it. One thing to note is that due to its doing magical damage, our attacks will do significantly less damage against high magical resist units, like witchdoctors. If you see a lot of witches in queue, adjust your weapon accordingly. 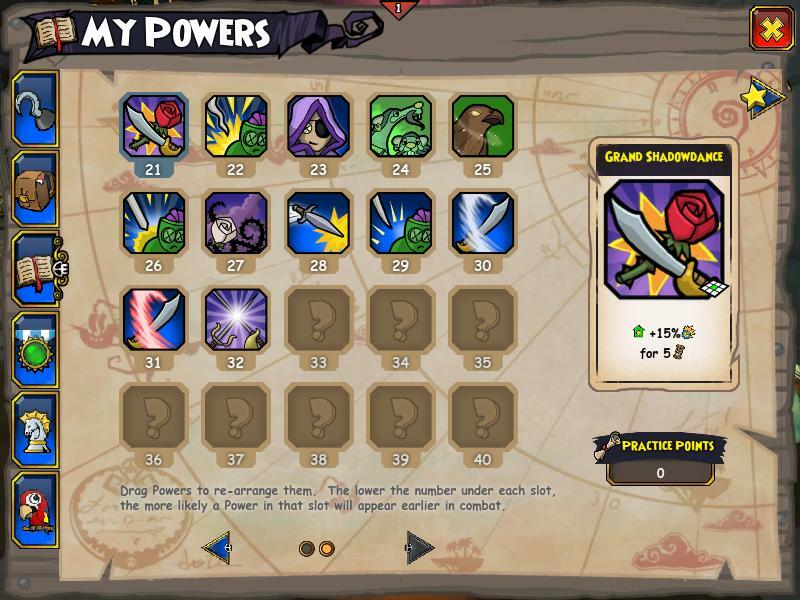 Sea Sheller (Super Charge weapon)– With a rushing team, in ranked PvP, you can easily fog and rush your entire team to their pirate’s face and one hit them. Very preventable strategy on your opponent’s part, but awesome when executed successfully. Dragon Axe of Doom– Against musket and witches who tend to have minimal armor and strength but high magic resist and high to medium high agility, this physical damage, strength based weapon can make your chains very powerful. Plus who doesn’t love an extra rank of tide? Haywire Cultist Set– Although it’s a bit on the low end in terms of damage (a net decrease of 30 damage compared to most alternatives), this weapon is still quite powerful. Haywire strike can hit as hard as an assassin and surge of technomancy’s ability to remove a fort or absorb in the late game is a match changer. It’s great in the mirror, where opponents lack a critical mass of buffs that can be used to “protect” their forts from a late game surge. Asclepius’ Talisman- Dropped by Sssiva. This is the only truly good option for eyepatch in PvP. 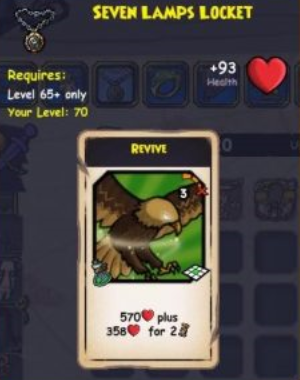 You already have a revive from your robe/charm, and St Fido’s patches aren’t worth it for us. Ornament of Moo Manchu– This is the option the VAST majority of players go for in PvP. As with the ring, if you only have the level 55 or 60 version, that’s completely fine. 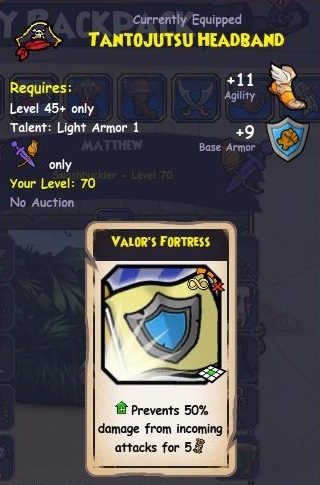 Stormzilla’s Egg–If you have the tower hat and this, use both of these rather than the fort hat and moo totem. Otherwise, don’t stress about getting this. Stormzilla is a pretty slow farm. However, having the Stormzilla Egg opens up some very powerful setups that were not accessible before, such as 3 fort + 1 absorb sets for the mirror. Many of these sets require sacrificing an assassin, so they’re really only viable in the mirror (where you can afford to do so). Seven Lamps Locket– If you’re struggling to get purge, prefer a more defensive set, or just feel that you can win without purge, this is your best bet to PvP with. It’s kinda rare in the bazaar nowadays (buyouts OP), so good luck. I’ll elaborate more below, but here are some of the pets I’ve used. 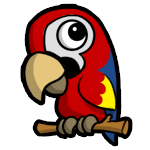 The first kitty (Mighty Lucky) is a recent acquisition and represents a near-ideal pet, while the Macaw is much closer to a bare minimum and is what I used for almost all of my time ranking. Finally, Pugsly is my favorite option for melee matchups (buck and buckler) in the spar chamber. In these matchups, relentless is a lot less vital, and the addition of the extra shield is extremely valuable. Furthermore, burst fire is a high accuracy epic, and when paired with the hybrid weapon I generally use in melee matchups, it can be very useful. 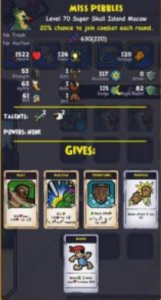 Grants Triton’s Song, Grants Backstab, Grants Rouse, Grants Bladestorm, Time Warp, Grants Cloud Spirit, Scent 2, Grants Witch Hunter, Rainbow Blessing, Grants Tough 2, Grants Soulreaver, Grants Jobu’s Kiss- These are the most frequently seen talents that I’d still consider to be “good” or useful. I’m sure there are more talents that belong on this list. Note on Time Warp: Time warp is incredibly powerful in ranked pvp and is arguably one of the most broken things in it currently. With medium to high movement range companions, an early charge (facilitated by fog and warp’s 2x movement) is game ending. However, it’s absolutely terrible in the spar chamber since it triggers very rarely there. Grants Repel Boarders, Grants Cheap Shot, Grants Flanking (and their ranged/magic equivalents if you are running hybrid)- These talents frequently break our hides and provide little to no actual benefit. They are the opposite of Grants Elusive. If your pet even has 1 of these, and everything else perfect, it’s unusable. I’ll list each companion and their ideal setups, then analyze some team combinations. As you’ve noticed, I didn’t list every possible companion choice. The ones below are the companions I find myself most willing to use. If there’s a unit (particularly a crowns companion) that I haven’t listed that you’re interested in using, take a glance at this tier list first. Toro, Fan, (someone)- This is the most common setup you’ll encounter. Pretty much any unit I listed above can go in this third slot, with the exception of Bill. If the third unit is a buck unit with vengeance 3 or Ratbeard, put that unit in the second slot. I ran Toro, Fan, Battle Angel in ranked when first ranking up. Try to avoid fighting muskets with this setup, as Toro is a dead weight and Ratbeard is mediocre in this matchup. Goro, Fan, Nausica- This is the second most common setup (it might be the most common one now, due to how degenerate it is with time warp) and is obviously one that requires crowns units. It’s great to bring in ranked when you see an influx of inexperienced bucklers or muskets in general. There are better anti-musket teams, but this is the best one that remains strong versus other classes. It’s generally played very aggressively, requiring an early Black Fog rush. It’s fairly weak against buck, even more so when you don’t pull fog (Pete and their pirate annihilate Nausica and Fan). However, it’s still one that I’m happy to run in a queue that I know nothing about. Fan, Bonnie, Contessa/Sarah- This is one example of a free to play anti-musket team. You’ll only want to run this when you’re sure you’ll fight a musket. You can replace Contessa/Sarah with Bill, but I’m not a huge fan of him, given musket’s ability to use other methods to damage him without triggering true grit. Fan, Bonnie, Nausica- This is my favorite anti-musket team. It’s obviously not ftp, but it can pressure them early. Bonnie shuts down attempts to corner with Contessa, and her heal is very useful too. If our opponent isn’t forted already, they’ll be forced to fort or shield once we cast the poison on them. They can’t face-tank 430 damage a round for 5 rounds, especially with our ability to pressure them with hurl knives, Scratch’s AOE, and Surge of Technomancy (all 3 can hit hidden targets, making hiding a bad counterplay option). We then run our pirate away and purge with Old Scratch. This forces them to fort (again). We then use the surge of technomancy to knock off that fort. This is pretty much game over. Our opponent has lost too many resources to win. If our opponent is forted, great! They’ve used a fort earlier than they’d normally want to. This puts us ahead in the resource war. We can either poison 1-2 key companions (Nausica, Pete, etc) or just poison their pirate anyway. It’ll still be good for at least 214 damage a round. Our opponent can use Contessa’s gallant defense to protect themselves from poisons altogether. We have a great counterplay to this, however. Old Scratch has an AOE drain, as well as an AOE basic attack. Each and every unit that Contessa guards will not take damage from this drain or basic attack. Instead, Contessa will. This means a 100% mojo buffed drain will do 2.4k damage (650*4) to Contessa. 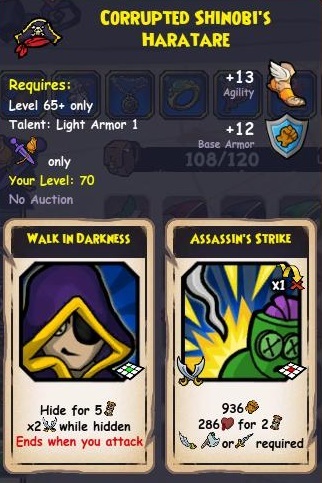 Non-hidden basic attacks do 1200 damage. This will nearly one-round Contessa, allowing us to get in with a poison the following round. Fog should always be in slot 1. Period. Hurl Knives coming out of fog is a nice aoe that doesn’t generally trigger epics or require a non-hidden unit on our opponent’s team. Ideally, it’s used late game coming out of a hide when our opponent attempts to time out our hide with their own. When you enter the match, your first priority is checking your opponent’s class, their companion selection, and their epics. Also, make note of whether or not their companions can rush you immediately. Speaking of rushing, here is a guide to movement range. All the info is accurate as of 2018. Learn ALL the information in this guide. It’s a lifesaver. It will inform you as to whether or not a given unit can reach you in any given round. 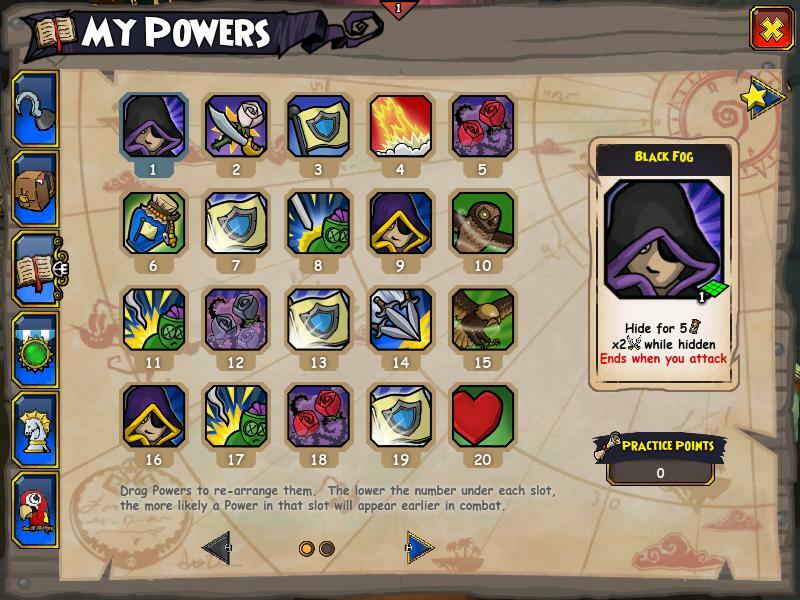 http://www.pirate101central.com/forums/showthread.php?56849-Movement-Range-Guide-for-PvP IF YOU LEARN NOTHING ELSE, LEARN THE INFORMATION HERE. YOU WILL NOT SUCCEED UNTIL YOU DO. When rushing, assume your opponent has a pet with scent until you know they don’t. Don’t let a random pet spawn ruin the match. That’s not to say never rush (in fact, pressuring is often better than not pressuring), but just be wary. When rushing with fog, there are two ways you can use it. You can either attack with 2-3 of your units immediately (probably using a Toro buff and letting the other 2 attack and guarantee a kill on a high-priority enemy unit) or you can wait around, advance and buff, then on the last round, hit! Confirm the kill. This means that it’s always better to put an extra unit on an enemy unit to guarantee that your hit will kill, rather than assuming that it will “probably” kill. Count your opponent’s powers. As you get more experienced, you will recognize that, for instance, a buckler normally has 3 forts, 3 assassins, and 1-2 revives. A privy has 5 forts, 1-2 assassins, and 3 revives. Note when one is used, and keep track of how many are likely left. Assassin’s Shroud is great. 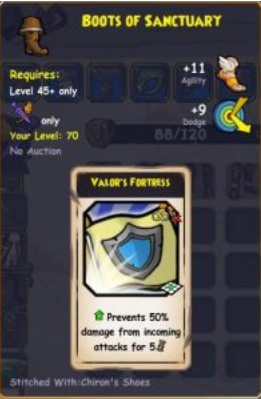 Use it when a protection buff has 1 turn left and your opponent is low on shields or health. This is why purge is great to have. When they inevitably try to shield themselves (since under shroud they have no way of otherwise recovering), you can purge their protection right off. Don’t use your team buffs (or any buff that is 5 or fewer rounds) on round one. This isn’t pve. Casting Toro and Fan’s buff, then meandering over to your opponent is a mistake. They will time out those buffs. The same is often true if an opponent tries the same. If a musket, for instance, drops a 100% Scratch buff and Cloud Spirit turn one, you’re best off sitting back, timing out that buff, and possibly timing out the bombs they drop too. Never. Ever. Walk. Into. Hold. The. Line. Three. Got it? Good. Frenzy will kill you. Doesn’t matter how high your dodge is with elusive. Doesn’t matter that you have espirit. You. Will. Die. On that same note, you can “walk through” barrels and your own units in order to approach a htl3 unit without triggering the dodge reduce. Vicious/Brutal Charges are great in this matchup. They make our riposte chains very potent and can allow us to walk into their htl in the late game, should they have no strength buffs up. When coming out of fog, never hit the opponent’s Pete with your pirate. Pete will likely have espirit/call to arms and Whale’s might up. Pete will land on and stun you with vengeance 3 and then chain on you some more. Since your opponent is possibly hidden and you are definitely stunned, they can take advantage of the fact your first strike won’t trigger and get the double damage from their hide. If they are hybrid, beware uncanny shot. It has 5 range and reduces your dodge by 75%. If they frenzy you with that debuff up, you lose almost certainly. Kill Emmett if they bring him. I hate that stupid otter so much. Kill him asap, he’s a pain if he’s left alive. With Scratch’s newest promotion, he becomes priority #1. His purge can put us at a fatal disadvantage in a resource war. More generally, focusing on removing all their companions before killing their pirate is your best move unless you can definitively one-round their pirate. If all 3 units are down, and your pirate hasn’t used too many shields, you win by default. In the Spar Chamber, Bonnie is your best friend vs privy. She counters attempts at guarding with Contessa (she takes 2400 damage from scatterblast if she guards the entire team), gives us a much needed extra heal, and represents an win-con if left alive. Generally speaking, you don’t want to waste attacks on them when they’re above half health. You can land relents on them with ease. Let those do most of your work for you, saving your attack powers for when they’re below half. If they summon trees or scorpions early on, killing their summons before focusing on their team is a smart idea. There are some privies who are heavily dependent on their Nausica (they are otherwise mediocre to bad players that abuse boon+nausica and focus all their resources in keeping her alive). 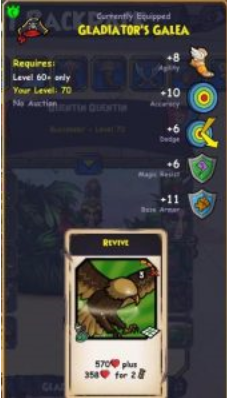 If you encounter one of these, removing their Nausica early removes their biggest damage threat and pretty much seals the game in your favor. Never rush Nausica in completely on her own. They will kill her quite quickly, and it’ll be a 4v3. Same rule as with privy. Kill the units (particularly Chantal and Scratch), and then kill the pirate (unless you can certainly one-round the pirate). 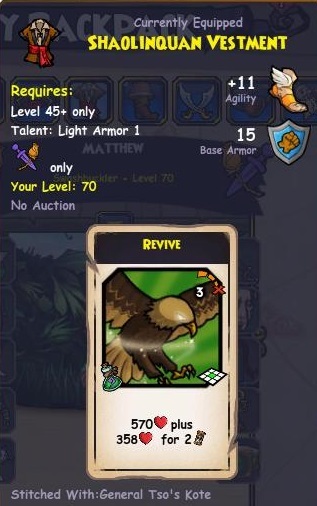 Don’t assume that you will get relentless’es. You almost certainly won’t. As I said before, Toro and Ratbeard are pretty bad in this matchup. Try not to run them whenever possible. If they run Ratbeard, know that Ratbeard can knock your pirate back into bombs and traps. In the late game, their uncanny represents a legitimate win-con if they have units alive. Pretty much all of their hits can hit us while hidden. This forces us to almost always have a shield active, unless they are out of sight or pressured enough to ensure they can’t afford to attack. Witchdoctor is bad in this meta, largely due to witch hunter. Get adjacent to them, and you generally win by default. If you’re running Goro, Fan, Nausica against a witch in ranked, congrats! Unless you got one of the top witches, you just won! (and even then, the good ones need a lot of rng to win). If you’re using a slower team, well, this matchup is no fun, assuming they’re summon based. If you’re running an aggressive team, charge them early and focus their pirate or scratch. 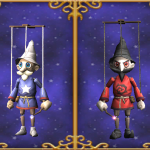 Without one of these 2 units, the witch just loses. They need the offensive and defensive value from Scratch, and they obviously lose if their pirate dies. They can force your witch hunter to trigger, breaking your hide, if you are next to them when you cast a hide. It’s not always a bad thing, especially if they have an absorb up. The Ocuborous line of spells (there are 3) essentially functions as an assassin’s shroud, in that it prevents us from healing for 3-5 rounds. They go in a straight line or diagonal and have 6, 7, and 8 range. Try to avoid positioning yourself such that you can get hit with one whenever possible. If they use a banner, you can break a banner without breaking your hide. SCRATCH HAS PURGE NOW. REMEMBER THAT. IT’S EASY TO FORGET IN THIS MATCHUP. 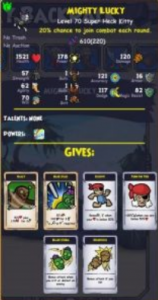 If they have units still alive, know that they can purge and do a lot of damage to your pirate. This matchup often comes down to rng-based first strike and riposte chains. If you lose because your elusive decides not to work, or if their grand shadowdance goes ham, you just gotta deal with it and then complain about it to all your other swashbuckling friends ;). In the early game, positioning is key. That movement range guide is your best friend when it comes to knowing when you can and can’t fog or be reached with fog. Once again, if you don’t have that guide committed to memory, have fun losing most of your buckler mirrors. When their pirate does hide, spread out your units. Don’t give them the ability to poison multiple units. If they have 2925 health, they have normally have purge. 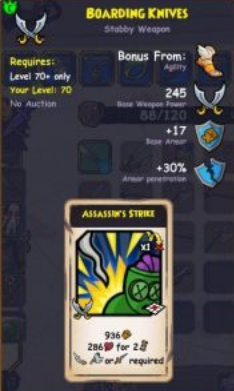 Know that when you decide to attack their pirate with an assassin or charge, you will start a first strike/riposte war. You will be hit if you are out of elusive. Take that probable damage into account. Having a brutal or vicious charge is great here. You can force your opponent to use another hide or fort before they want to, or risk taking tremendous by your ripostes. If they hide or fort, you don’t necessarily have to in response. Try and time out their hides by running away. Resource control in this matchup is essential. Hurl knives are tremendously useful. They can hit a hidden unit without fs3 triggering, and they make it near impossible for your opponent to run away. If you can kill their Toro before he uses his buff, do it. Having that buff over your opponent for 5 rounds makes your team very difficult to hit, while ensuring you will almost always land your hits. Try and use shroud when an opponent has 1 round left on their own shield. Sometimes, an opposing buckler will try and stack a triton + valor’s shield. Know that this isn’t enough protection. (I used to do this, it’s ineffective). 2 stacked 25% shields block ~43% damage (and only 25% of poison or bleed) since the damage decrease is multiplicative, rather than additive. Ideal Team (non-ftp)– I’m of the opinion that pretty much any units with 1 or more relevant powers (a super strike by itself doesn’t count) that either fs3 or vengeance 3, or are named Nausica are viable in the buckler ditto. I’m constantly switching my team around for this matchup. I’ve found Baar to be particularly excellent and 1+ Surge of Technomancy units are very strong too. Best of luck and happy dueling! Hope to see you in the Brawlin’ Hall. Great post, very informative. Thanks!